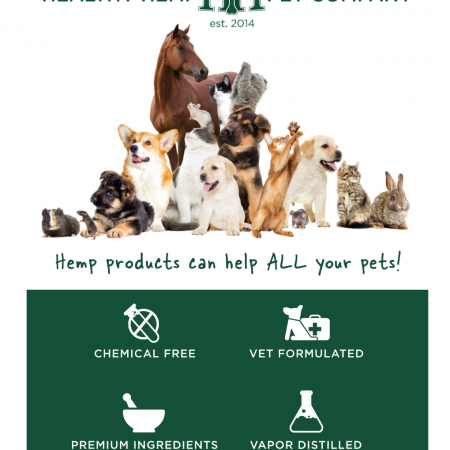 Healthy Hemp Pet CannaDrops Immune Supporter™ offers animal owners and clinicians another method to treat animals holistically. 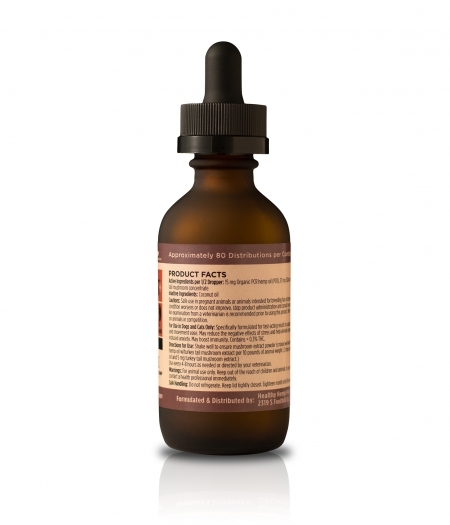 This product comes with the added feature of Turkey Tail Mushroom, for a powerhouse formulation which may help pets with a variety of health conditions including cancer. 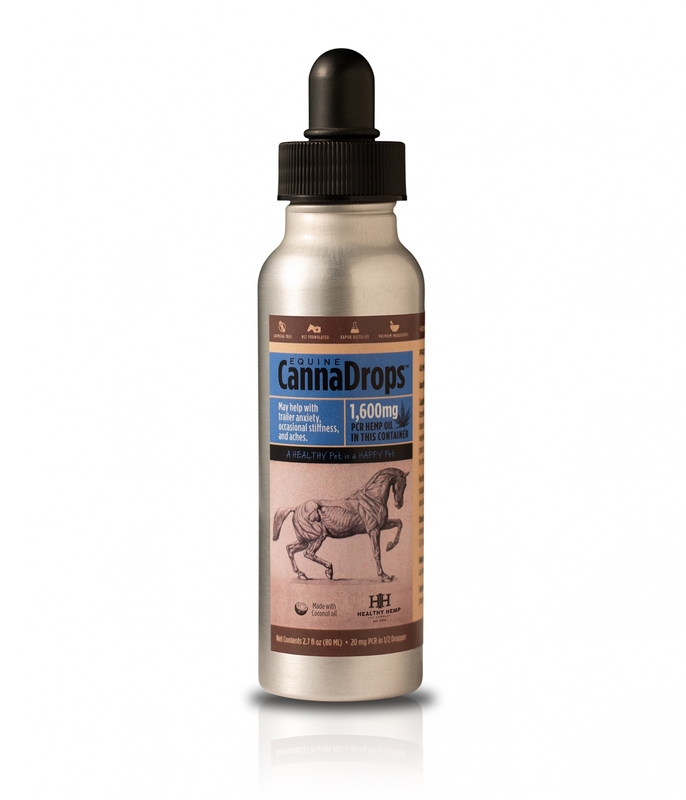 CannaDrops Immune Supporter™ is produced in small batches made in the hills overlooking the Salt Lake Valley. Each bottle contains 600 mg of organic full-spectrum terpene rich PCR hemp oil, and 3000 mg USDA certified organic turkey tail mushroom concentrate. 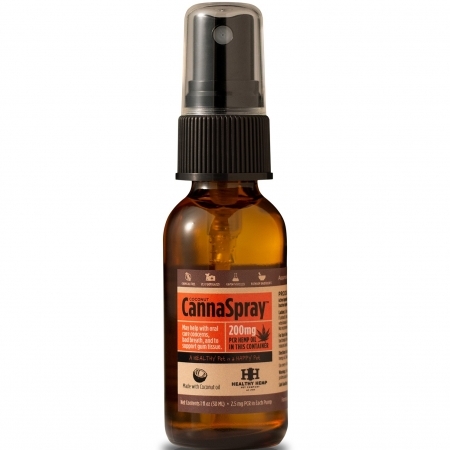 Like all Healthy Hemp Pet Company products, CannaDrops Immune Supporter™contains no gluten, no fillers, no chemicals, no fragrance and are cruelty-free. PCR Hemp Oil: Our hemp oil partner’s proprietary Vapor Distilled extraction method, the purest process currently available, and delivers clean, 100% solvent-free, naturally phytocannabinoid-rich (PCR) oil from the flowers and leaves of naturally developed strains of industrial hemp grown legally using organic farming methods in Colorado under a Department of Agriculture program. 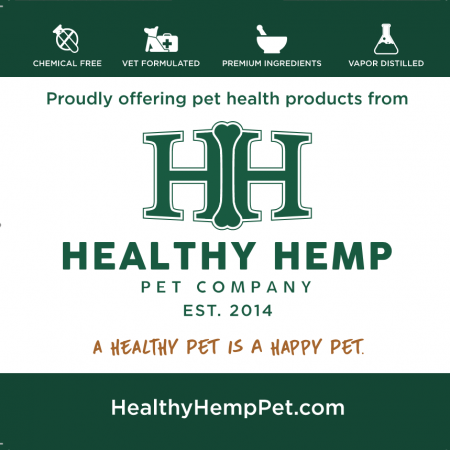 Every batch of organic hemp oil we use is tested to ensure it contains less than 0.3% of the psychoactive cannabinoid, THC, so CannaDrops will not get your pet “high.” Hemp oil is also an excellent source of omega-3 and omega-6 fatty acids. Turkey Tail Mushroom: We only use full flower mushrooms, that are never ground into the substrate used to grow them. Turkey tail mushroom has been used for thousands of years in China as a holistic treatment to support immune system functions. This super ingredient is making waves in the U.S. The FDA has approved two clinical trials to study to study the potential of turkey tail mushroom extract to slow the growth of cancer cells and have positive effects on treatment in conjunction with chemotherapy. My dog has cancer and has been struggling. I didn’t think she would make it through July 2018. I started giving her this and here we are in October and she has had more energy, and is back to being her happy self. She will eventually die from this cancer but to have her quality of life improved and extended means the world to me. My sweet dog has a mass in her chest that is inoperable, and was causing a “cough”, which we surmised was from the mass pressing on her windpipe. After regularly giving her this product, we noticed she was no longer coughing (or only doing so when exerting herself).